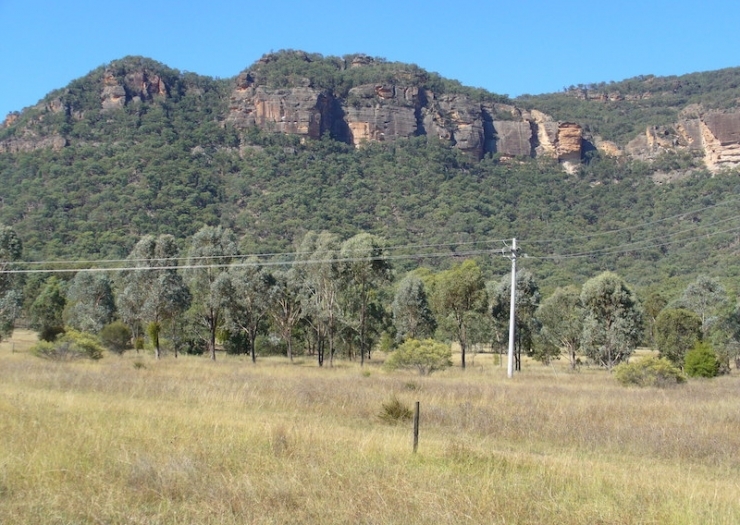 Fabulous weekender or escape the rat race permanently to the beautiful Capertee Valley on 143 acres (57.44ha). Build a second home or eco tourism accommodation – lots of possibilities. The property has a comfy three double-bedroom. Cape-Cod style house. with two bathrooms. A double carport. two lock-up sheds and three shed bays so plenty of storage and play areas. For the enterprising. 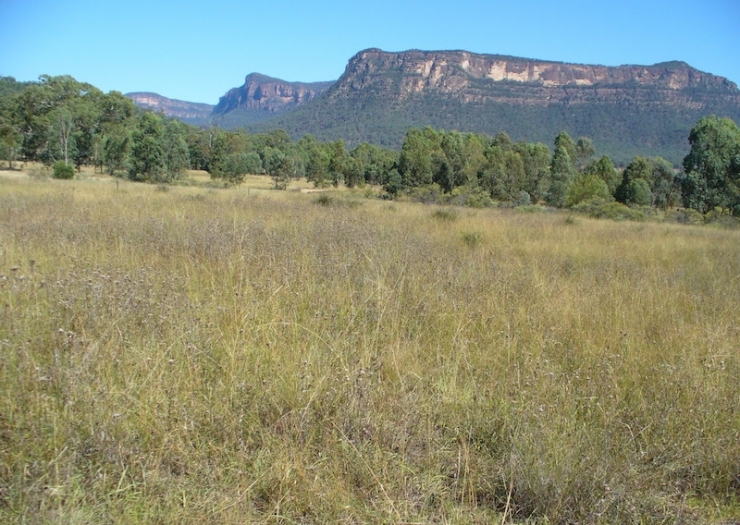 the property could be expanded for bush walking. birding. or just a getaway retreat for city dwellers. With it now NBN ready other home based businesses can be seriously considered. so bring your imagination. As the property is within the RUI Primary Production Zone. due to its size. it will allow dual occupancy (two houses). There is no restriction on the number of bedrooms for a new house but up to four of these. with en-suites. can be used for a B&amp;B/accommodation business. perfect for eco tourism. With one house already established. under the terms of the covenant. a 2.5 acre / 1 hectare area of land is allowed for a second house. or perhaps some cabins. or workshop/accommodation area to be built. This property is well known to bird-watchers. tree-planters. botanists and university scientists. Extending this to new groups and the general public who will be amazed to discover this stunning part of Australia. The Conservation Agreement on the land is primarily for the critically endangered Regent Honeyeater. Extensive tree and shrub plantings have been carried out over a number of years through the help of volunteers from the Regent Honeyeater Recovery Project. Conservation Volunteers. LEAP Program. Newcastle Four Wheel Drive Club. local people and friends of the owner. Primarily to provide habitat for the Regent Honeyeater. eight other bird species. classified as vulnerable. are now nesting in this new habitat as well as nesting in existing bushland. Because this property continues to be well known for its high number of bird species-137 species in total..so far. international bird-watchers have made it a popular place in which to stay on their round-robin tours of Australia. Aussie birdwatchers and other visitors have also enjoyed their stays here. An extensive system of vehicular tracks winds through the bushland and new habitat areas giving the whole of it a beautiful. parkland ambience. 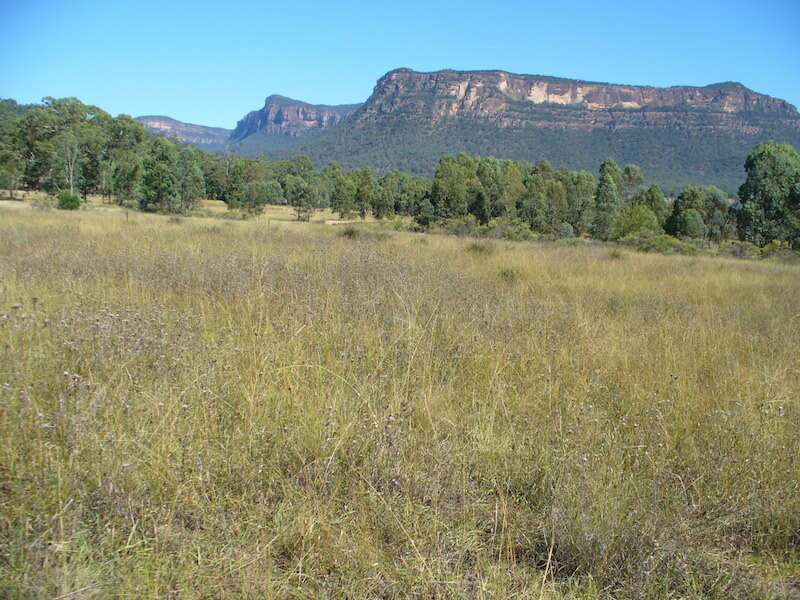 The property is located in the Capertee Valley 3.5 hours North West of Sydney. 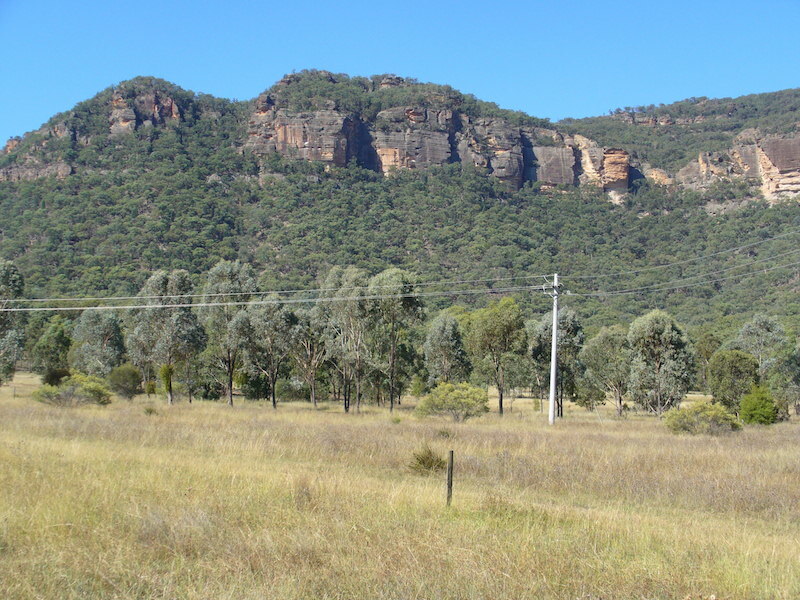 between Lithgow and Mudgee is backed by the massive cliffs of Wollemi National Park and has stunning. wide-ranging views in all directions. Three dams provide water for many wildlife species. Lots of space for kids to run around in. as well as the spectacular environment for all. A large. cleared area in front of the house is suitable for helicopter landings.